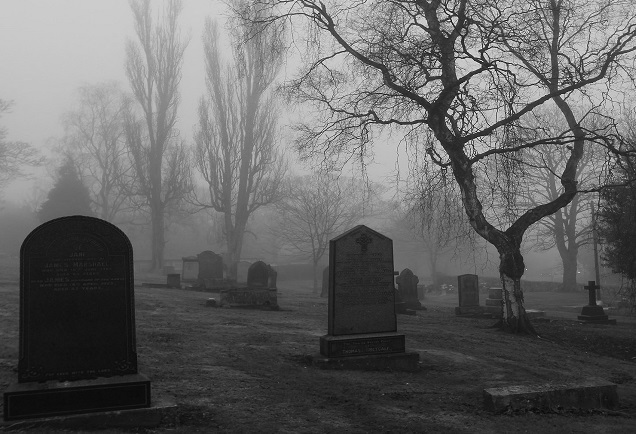 In 2006, the University of Rochester started The Humanities Project, “an interdepartmental endeavor designed to champion work by Rochester faculty in all fields of humanistic inquiry.” Each year, several projects are selected to receive funding to sponsor speakers, films, symposia, conferences, panels, and exhibitions. 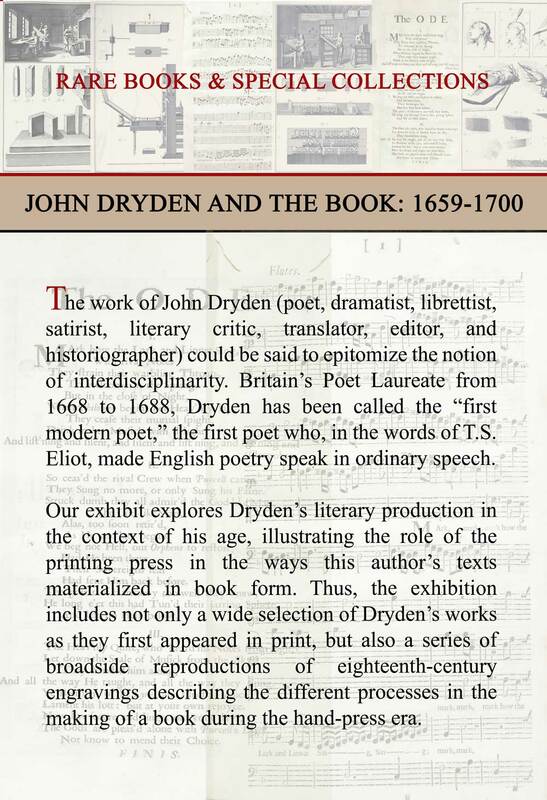 Last fall, one of the projects was on the work of John Dryden (Restoring Dryden: Music, Translation, Print). Faculty from the departments of English, Modern Languages and Literatures, Art/Music Library, and Rare Books, Special Collections and Preservation planned a series of events that included relevant undergraduate courses (on drama, literature, translation, and the history of the book), evening concerts (chamber arrangements, arias, and songs), dramatic readings, and panel discussions of Dryden’s poetry and drama. In conjunction with the humanities project, Pablo Alvarez curated an exhibit in The Rare Books Library (John Dryden and the Book: 1659 – 1700). While this brick-and-mortar exhibit consists of real books in glass cases, Alvarez also highlights several of Dryden’s books in the Rare Books virtual exhibit, the Book of the Month. Alvarez presents really nice digital images of each book, and gives a thorough bibliographic account, including relevant biographical information of the author, printer, and other key figures in the book’s production, contemporary catalog descriptions, general plot summaries, a bibliography of sources, and how the item ended up in the collection. 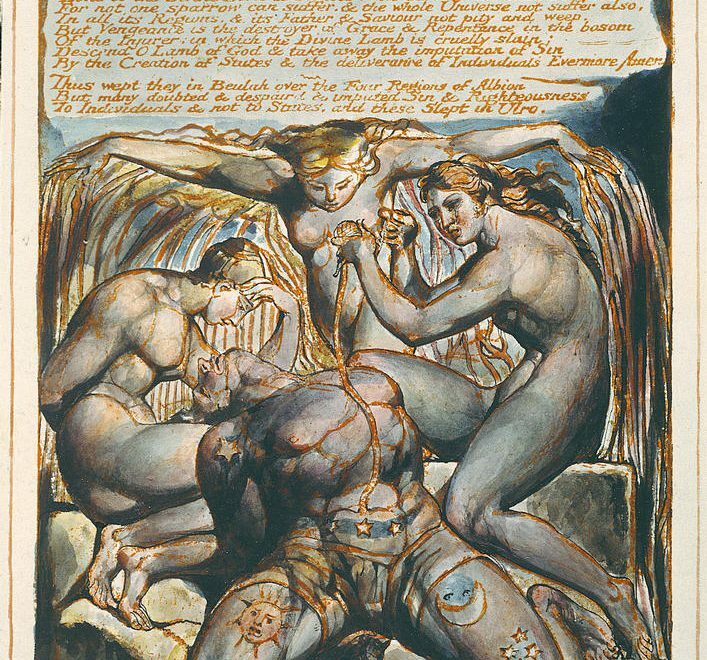 A bit of Blake trivia: Blake made woodcuts for Thornton’s Pastorals of Virgil (1821). Proofs from these woodcuts were at one time bound with Blake’s manuscript An Island in the Moon, although they have no relation to the content of the MS, and were removed in 1978 (when the MS was rebound).